As a diver, it's pretty crucial to have a dehydrator that you love.We have one that features varying temperatures which helps to ensure the best dried products possible. When it comes to drying bananas, I've discovered that the flavor and look is better if the fruit is first dipped in orange juice or another citrus juice prior to being dried. 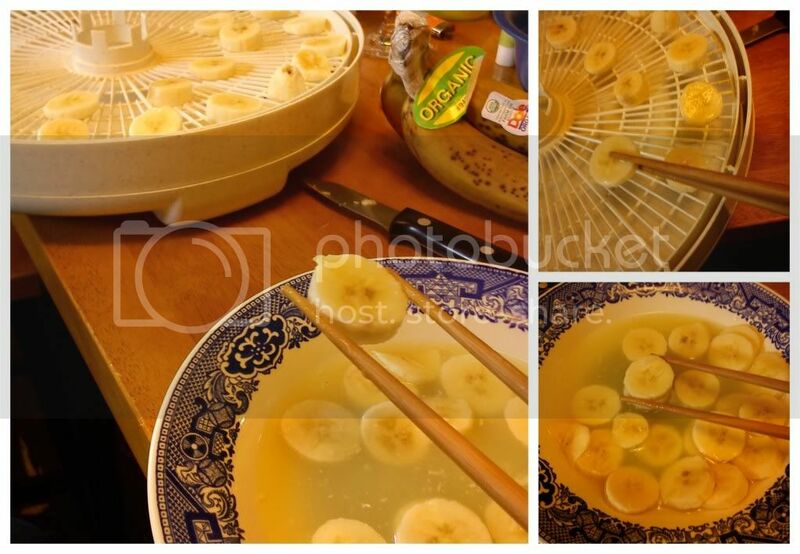 I also recently discovered that having mad chopstick skills ensures that my fingers don't get all gunky when drying bananas! Hoo-zah!